for those who use twitter ... not so great for those (of us) who dont. Easy enough to 'inform' on twitter so why not inform a wider amount of interested OUFC supporters via official OUFC website around the same time? More people use Twitter than use the OUFC website? I think you’re talking from a personal perspective there. Twitter covers both your main sources and more (and faster). I would have thought by now more people are using it than not. correct ...Im not on twitter. .... more people using it (twitter) than not? .... many people I know are not on twitter......of course news agencys use twitter for breaking news, thus ensuring tv, radio and newspaper s are to get the word out on and therefore most have the benifit of twitter. In a round about way most people (in the UK) do have the benifits that twitter can have. as I said already, I know many people without a twitter account, and very few that have a twitter account. No dispute twitter is in popular usage, as are a multitude of other social media networks. Didn't the post on twitter have a link to the story that was on the website already? I had never used Twitter but when I realised most if the up to date info about OUFC was arriving through that method I joined. I don't post anything much, maybe occasional message to rad ox, but just follow the likes of ox mail, OUFC, OUFC accademy , rad ox sport and a couple of other OUFC supporters and I find it keeps me well informed with no effort in my part. Last nights senior cup game at cpf was the second time ive seen Jonte Smith in an oufc shirt. Imo last night showed massive improvement since u23 v hull u23....faster , sharper, involved in a lot inc his goal. Was unlucky not to get at least one more goal, positional play as a striker decent too. Hard work on the training ground already paying dividends, though maybe a bit of extra work in the gym to strengthen & bulk him up a bit may be needed? would be good to see how he does in first team if he gets opportunity. whats wip by the way? He has come on as sub before onc3. I suspect that if/when we are safe he will get more chances. I felt he had an excellent game last night. Work in progress, but I don't think we would need to wait until we are safe to play him. Bulk up over the next couple of weeks, a goal or two more for the U23's and he fits the bill for a first team place. Him and Sinclair in the same team in a 442 would be quite interesting. I would reserve judgement until he has time to continue his Gym work/upper body strength as he looked last night a bit lightweight. Reminds me a bit of the O'Dowda situation where once he had bulked up he looked different class. Hope Jonte is given time. Congratulations to Jonte Smith,first full International call up as an OUFC player , for Bermuda ( in concaf cup) .... that both him and Gavin Whyte on International call ups for the Coventry away game ....one more call up & we can get the game postponed, or have the rules changed , again? 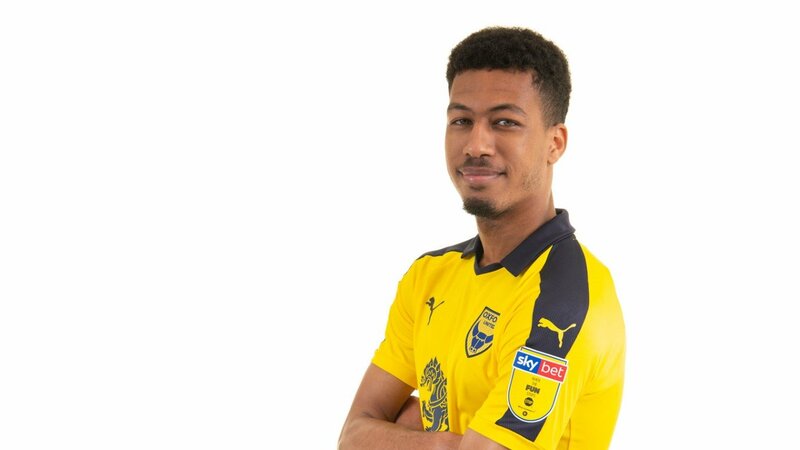 Oxford United striker Jonte Smith has been called up by Bermuda for their Concacaf Nations qualifying against the Dominican Republic on March 24.